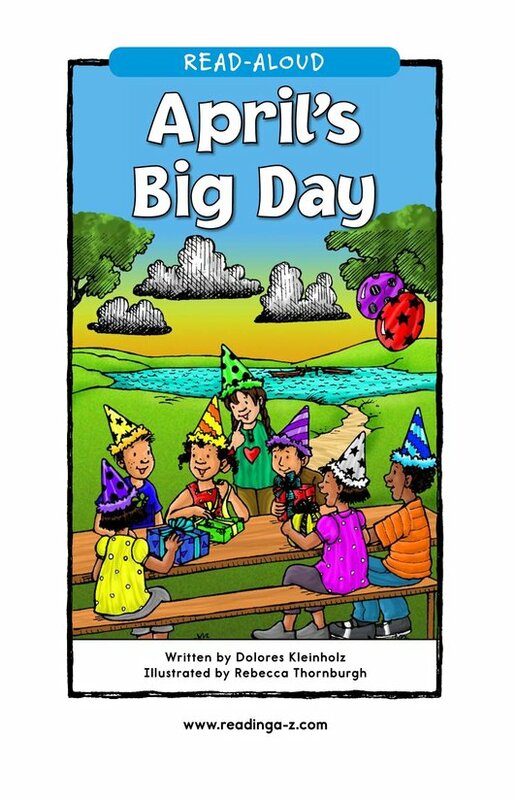 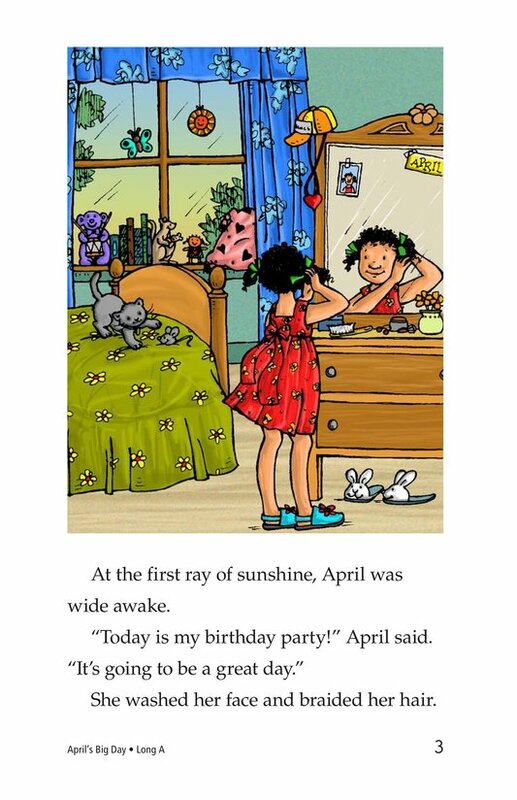 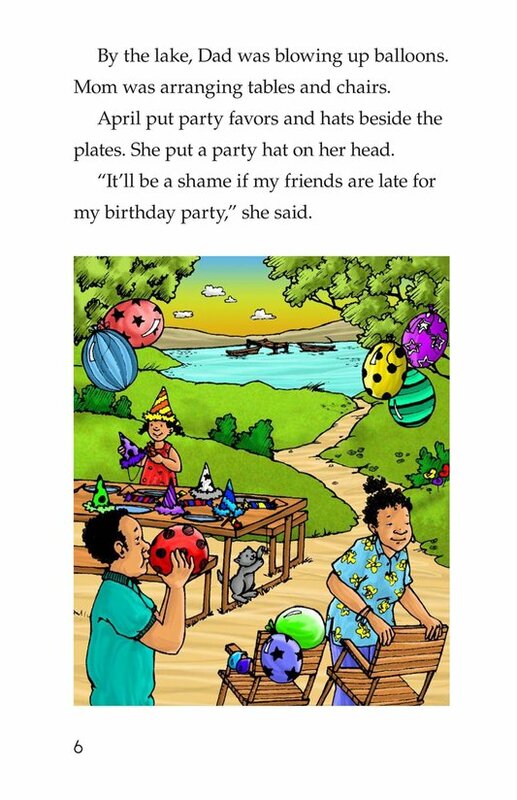 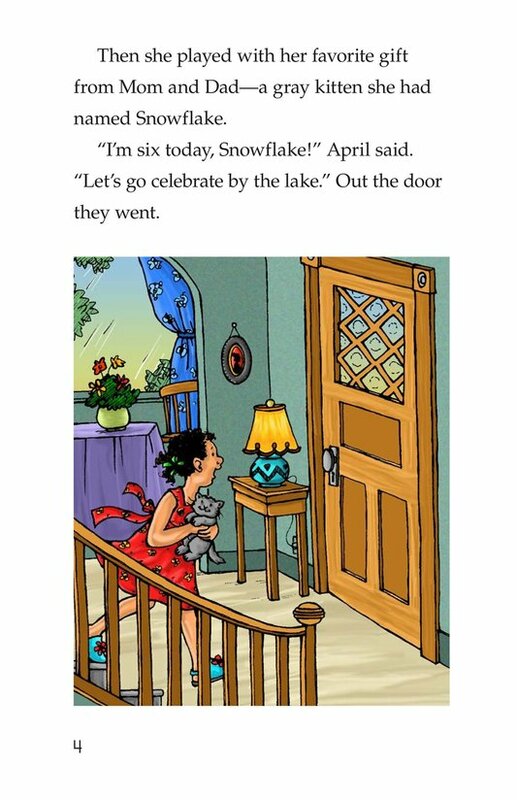 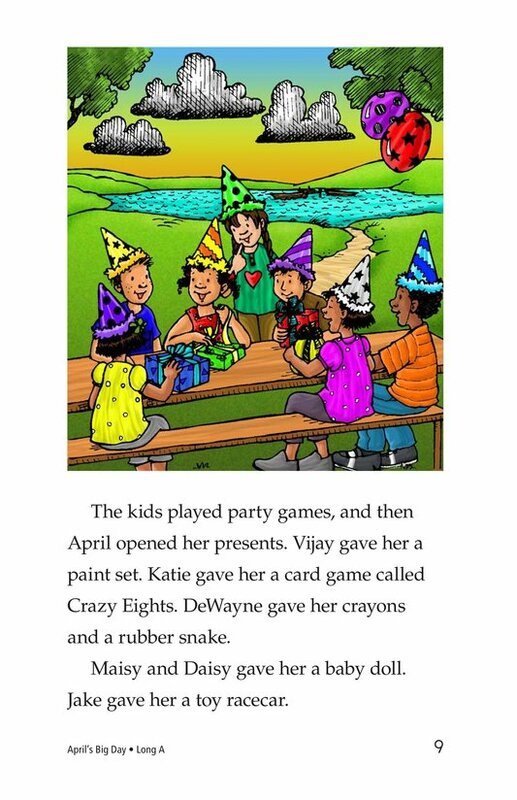 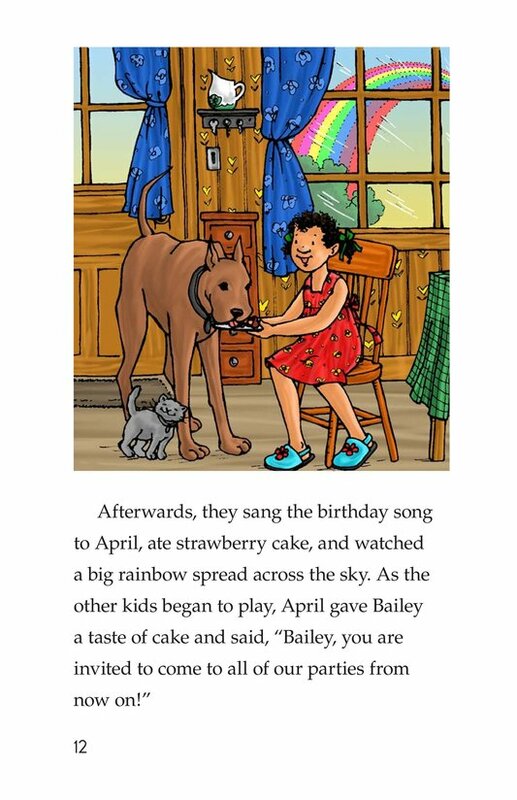 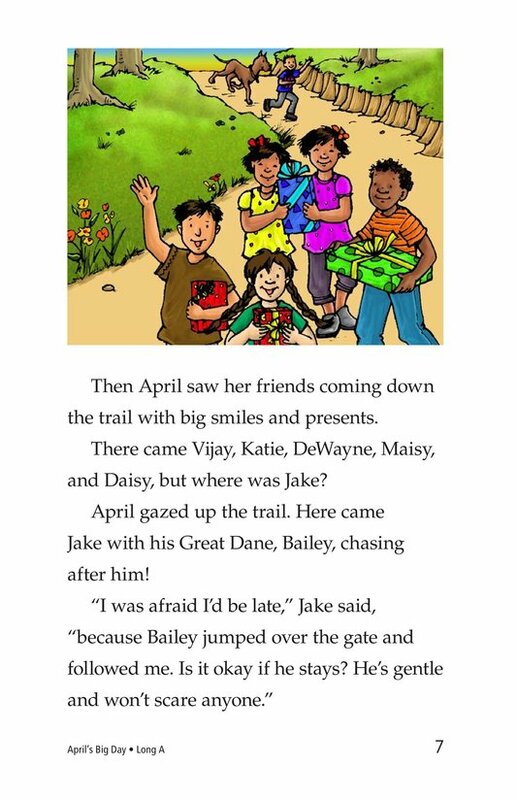 April invites several friends to her birthday party. 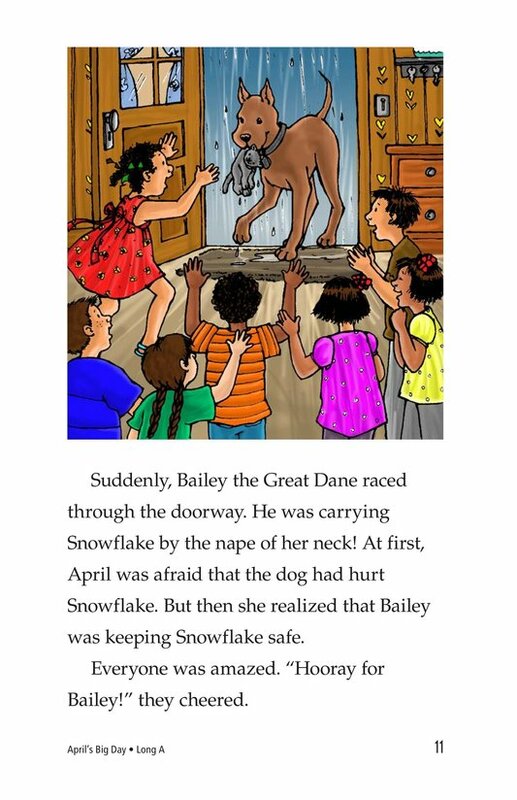 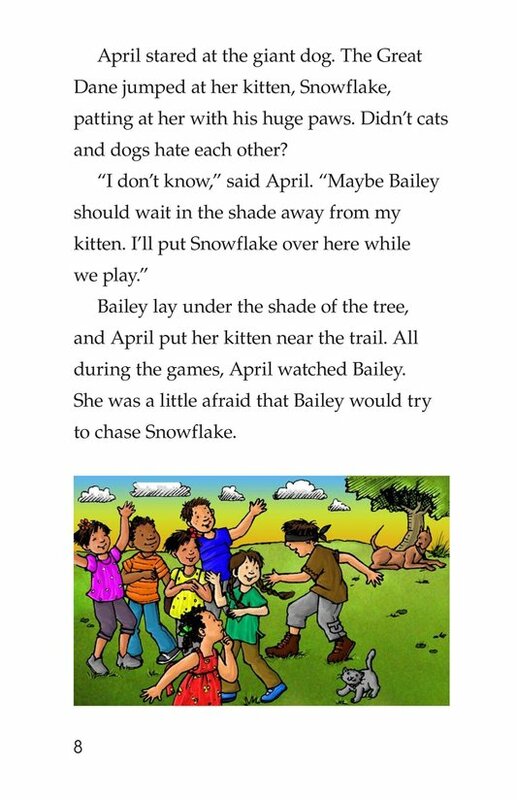 However, a large dog shows up with one of her friends, and April is worried that the dog will hurt her new kitten. 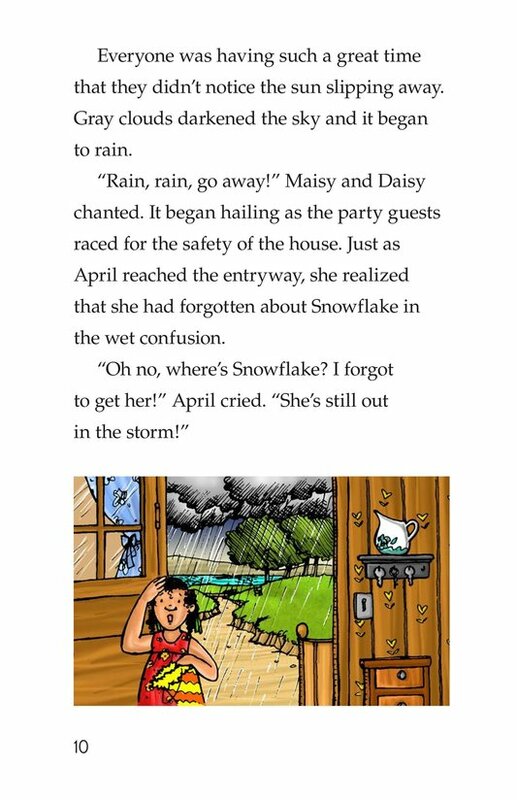 When the party is interrupted by a storm, April's kitten is nowhere to be found. 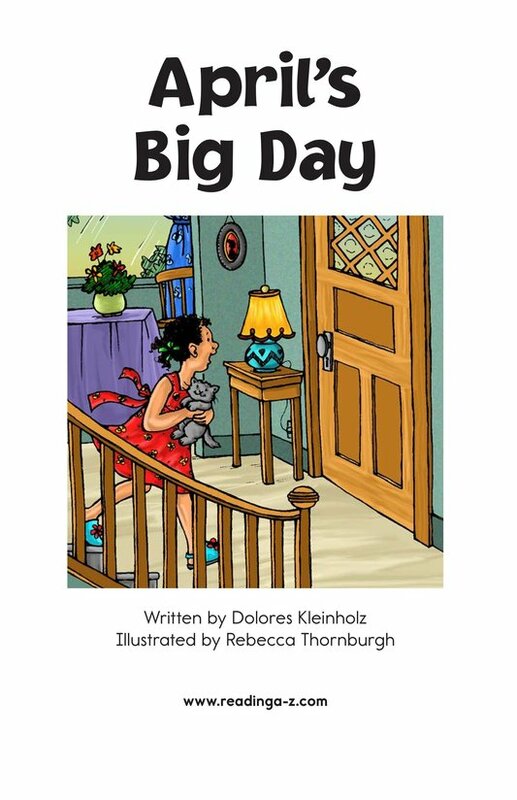 It is the uninvited guest that saves the day by rescuing the kitten. 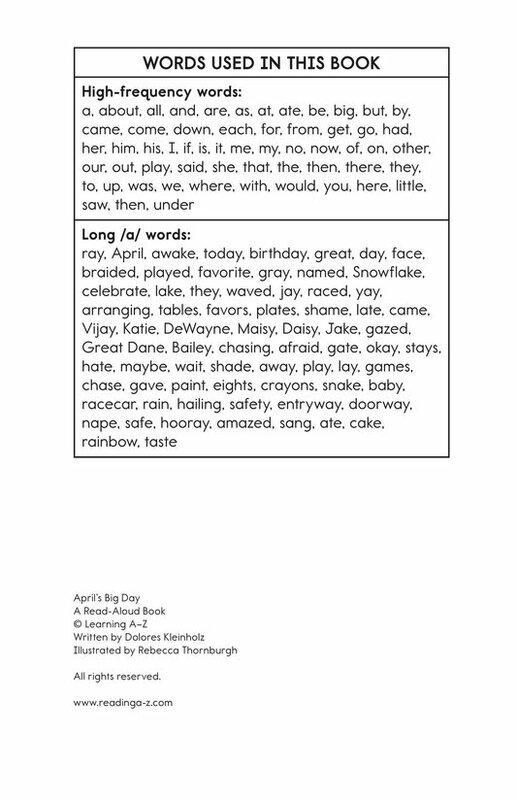 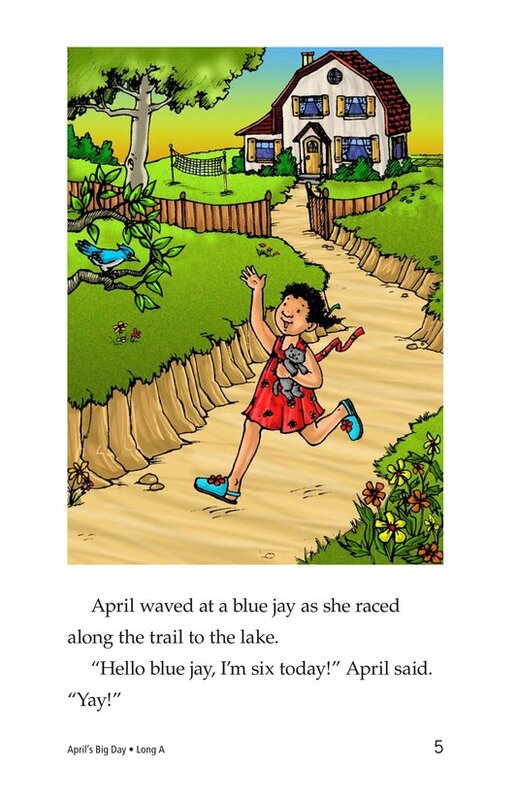 Introduce and expose students to the long /a/ vowel sound represented by VCe long /a/ and long /a/ vowel digraph spellings.